On June 4th, CCP Games will officially roll out Odyssey, the latest expansion of the EVE Online universe. This expansion is built upon a new developmental policy, introduced by the new Senior Producer of EVE Online Development, CCP Seagull, last January. Unlike previous expansions, Odyssey is designed quite deliberately around "a theme that can connect features and changes that touch multiple play styles in EVE across a spectrum of activities". 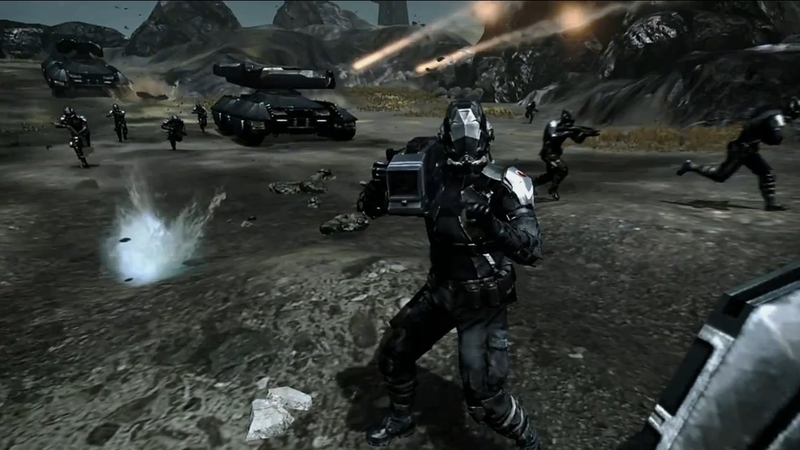 Odyssey's principal theme is exploration, though there are a number of other features and improvements that touch on many aspects of gameplay. Odyssey does indeed include an impressive list of new features and improvements. But will it be enough to make it a successful expansion? What is a successful EVE expansion? Using this key measurement, Ripard Teg documents the relative successes and failures of various EVE Online expansions in this excellent post. This analysis shows that CCP has had some hits and misses with their expansions throughout their history. The latest, Retribution, can be considered a major success, while the expansion just previous to that, Inferno, has to be considered a relative failure. CCP's most significant blunder was Incarna, which led to the "summer of rage" and open protests by EVE players - resulting ultimately in layoffs and a refocus by CCP on core EVE Online functionality. If you ask CCP developers what expansion they consider to be the most successful, most will tell you that Apocrypha is the model of an ideal expansion release. However, based on the numbers alone, one could argue that Crucible or Retribution could be considered to be more successful. Why do CCP devs hold such high regard for Apocrypha? This was a release that truly included something for everyone: new wormhole content, new ships (Tech 3 strategic cruisers), epic mission arcs, improved skill queue, revamped scanning, and a host of other incremental improvements that made EVE Online better and more fun to play. CCP Seagull's announced development policy is CCP's attempt to capture the magic of this kind of expansion, and replicate it consistently. The question on everyone's mind is: Will Odyssey fulfill this vision? Will it be considered as much of a success as Apocrypha or Retribution? Based on what I see coming in Odyssey, I have concerns. The promise of Odyssey is that players will find the revamps to scanning and exploration to be attractive and more accessible. There is no doubt that the discovery scanner has a distinct "cool factor". The graphical sweep and sound cues, the display of anomalies and possible signatures in space, the ease of use changes to scanning and probing - all help to make exploration an appealing activity that is more accessible to newer players. In fact, the recent dev blog on "Probe scanning and other goodies" explains that making exploration as accessible as mission running or mining was a principal objective for Odyssey development. In this regard, it appears that CCP has achieved that objective, and therefore should draw interest from prospective new players - which, in turn, should produce an influx of new subscribers. This is the theory, anyway. However, I have two concerns about the potential success of Odyssey's changes to exploration. First, we are already seeing a lot of grumbling in the forums from veteran players about the "dumbing down" of scanning and probing. CCP's decision to remove Deep Space Probes, for example, has greatly annoyed expert probers. So, while the simpler, shinier exploration system may appeal to new players, it may simultaneously turn off the hard-core experienced players. Whether this will induce enough bittervet syndrome to cause EVE old timers to throw up their hands and unsubscribe in significant numbers is not really known, but I'd be surprised if that turned out to be the case. Overall, the improvements to scanning appear to be steps in a better direction, and it's likely that current players will simply adapt, bide their time, and await further iterations to the system, albeit with a fair amount of grousing. More concerning is whether or not Odyssey's new scanning and exploration system really provides interesting content to grab and hold new players' attention - enough for them to subscribe, and keep subscribing on an ongoing basis. Unlike Apocrypha, which provided hundreds of wholly new, exotic places to explore, each with variable behaviors, enemies and mysteries, the anomalies in Odyssey are the same old, tired suburbs in current space. The new hacking mini-game is intended to provide a new level of challenge and engagement, but even here, early reviews from players' experiences on the test server are mixed: "another click-fest", "incomprehensible", "frustrating", and "repetitive" are just a few of the initial reactions on the forums. Unless the final, released version includes the required fine-tuning, this does not bode well for Odyssey's post-release evaluation. Odyssey will include some significant changes to the source of all industry in the game: raw material resources. First, changes in production alchemy and in the distribution of moon minerals throughout New Eden will likely cause major realignments in nullsec politics, as the current power blocs race to figure out where the most valuable materials are located, and how they can get control of them. This is perhaps Odyssey's greatest feature, as it should provide reasons to shake up the status quo in nullsec, and could start some significant wars - or at least, a lot of ultra-intense alliance-level politicking. The implications of this realignment won't be fully known until the locations of all the new resources have been discovered, but I suspect it will make for some very interesting times in 0.0. In addition, rarer ores in null security space will now include some low-end minerals. This, with dramatic improvements in the industrial capacity of outposts, will encourage and enhance mining and production in 0.0 - at least in theory. However, changes to the production of ice, a principal ingredient in POS fuel, should give miners and industrialists good reason to worry. By moving static ice belts to anomalies, and by greatly limiting the amount of ice in each, the cost of refined ice products will most likely continue to rise - perhaps dramatically enough to negatively affect the profitability of Tech II invention and production in POS installations. If this scenario develops to an extreme extent, then major alliances, with enough resources to control all aspects of production, might be the only ones able to manufacture Tech II items in quantity. The opportunity for individual entrepreneurs, mostly based in high security space, to produce Tech II modules and ships profitably could disappear. Some well-known EVE industrialists dismiss such concerns by saying that manufacturers will simply pass the higher costs of production on to their customers, but this assumes that changes in EVE market prices have a relatively small effect on the quantity of goods demanded. If that was true, and demand in EVE markets was highly price inelastic, then sellers should be able to find buyers for any good at nearly any price. As any experienced market trader who has played the -0.01 ISK pricing game knows, this isn't the case in EVE. Prices do matter - they affect demand for goods produced in the EVE economy. Odyssey's changes to ice mining are a giant blinking warning light, and industrialists have good reason to be wary. As in all economic matters, my potential doomsday scenario is just one possible result of the expansion's changes, and I am most likely just being paranoid. As someone who makes a significant portion of my income in small scale, high-sec based T2 manufacturing, I truly hope that my worries turn out to be unnecessary. I've read a lot about miners decrying the end of "casual mining" in the game, as a result of Odyssey. Personally, I welcome this. Mining in EVE Online has been boring for far too long. And moving ice mining to anomalies, in particular, will at least make the bot runners a little more miserable. This is a good thing. One last comment on Odyssey's ice and ore mining anomalies: some players are gravely concerned that the discovery scanner, which makes it much easier to find ore and ice anomaly sites, and therefore makes it much easier for aggressors to quickly locate a target, represents a huge danger to miners. I think these concerns are overblown. In high sec mining anomalies, I'll simply switch to a mining ship with a bigger tank, like a Skiff or Procurer, and be more diligent about monitoring my surroundings. The real threat is going to be in low sec and null sec mining anomalies - miners can no longer simply watch for combat probes as their cue to bug out. But you'd think they'd at least be watching Local for bad guys in system. Regardless, Odyssey will certainly require miners and industrialists to adapt, or change professions. Unfortunately, most people do not react well to big changes. This also does not bode well for a successful post-release evaluation of Odyssey. Odyssey will allow players to hunt new rats in low sec belts and collect special tags which can be traded in to CONCORD to improve their security status. 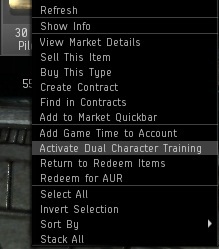 CCP hopes that this will produce more targets in low-sec to invigorate PvP opportunities there, for the price of slightly more suicide ganking in high sec. However, I suspect that CCP will be only mildly successful in improving the quality of life in low security space, while inadvertently making high sec carebears more miserable than they intended. Gankers are not stupid, on the whole. They know how to PvP, most of them, and they know how to protect themselves. The competent ones will not be easily caught in a low-sec belt while ratting. This will definitely make life in high sec more hazardous, however. The number of potential gankers will absolutely increase after Odyssey. The smart gankers will use this to target fat freighters or mission-runners flying blinged-out faction-fits, as usual. But by making it easier to improve security status, the cost of spending that status on a gank just went down. So, I suspect we'll see more suicide gankers blowing up high sec miners in anomalies "for the lulz" alone. How many new subscribers in EVE will suffer this fate? Probably not a lot. But it will affect quality of life for the large population of established carebears in the game, and at least a few of them will simply give up. I worry that "tags for security status" may backfire on CCP, and drive the number of log-ins down over time, though I hope that this will not be a significant number. However, as a wise man once told me, "Hope is not a good strategy." With all the trepidation expressed so far, you might think that I am wholly pessimistic about the chances of Odyssey's success. But that is before consideration of perhaps the most important aspect of this new expansion - the "bling factor" - and Odyssey is chock full of that. I think CCP Soundwave captured the feeling correctly. Transitions overall are more natural and immersive in Odyssey: undocking, ship death, podding, jumping - they are all more cinematic, and more fun. The radial menu is also a significant improvement in usability. It just works better. The ability to select the precise distance of an orbit, quickly and intuitively, makes it better. The ability to use this on any object in the overview makes it better. It's faster, and it just plain looks cool. Though I can see using the old right-click cascading menus from time to time, I think most people are going to appreciate the radial menu feature much more. 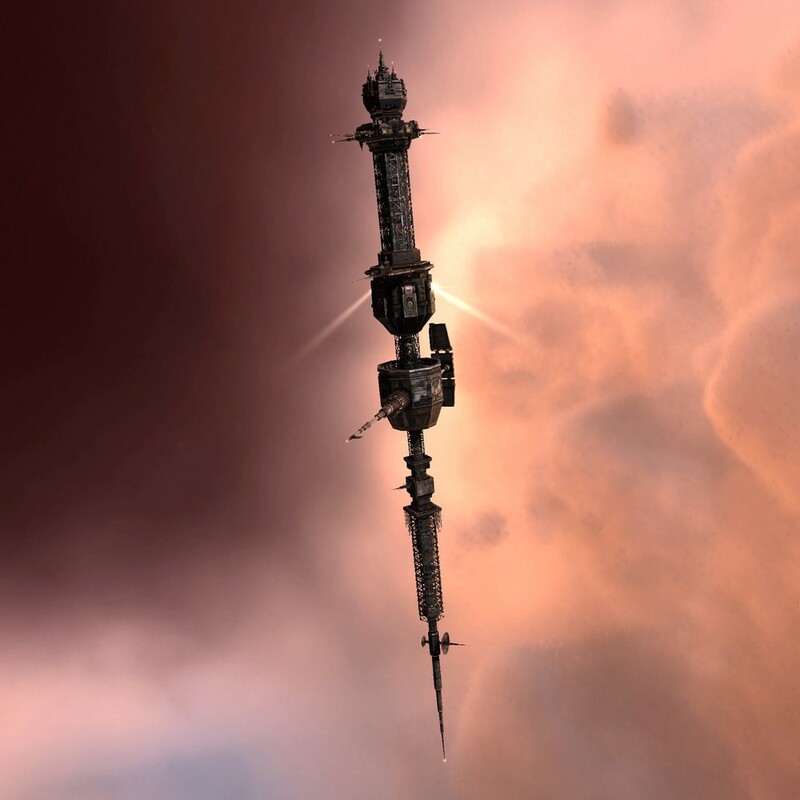 Wormhole dwellers will remember Odyssey for one thing: private starbase hangars. For that alone, they will love this expansion. A lot. The highly successful "tiercide" ship balancing initiative continues in Odyssey, with Tech I and Navy Battleships - and the new Navy Battlecruisers. EVE players always love new ships. And the changes in skill paths for destroyers and battlecruisers, while somewhat disruptive for current players, makes a lot more sense to new players, so that should be a net positive for Odyssey. Cosmetically, from the discovery scanner to some of the improved ship skins, Odyssey has a lot going for it. It certainly looks good. And that might be enough to carry this expansion into the "success" column. So, will Odyssey increase the average number of daily log-ins? Modular POSes that can be placed anywhere - and the opportunity for players to create and develop their own "home"
Truly new space to explore - did someone say "Jove"? Perhaps we will see these in some exciting future release. But for now, we have Odyssey to look forward to. On June 4th, we find out if it plays out as CCP intended. For all our sakes, I hope it is indeed very successful. Set a long skill to train! Posted in Commentary and tagged with Odyssey, expansion, EVE Online. May 28, 2013 by Neville Smit.